EMBA Machinery Inc, part of the Stockholm, Sweden based Berg Group, relocated its North American headquarters from Atlanta, Georgia to the Cleveland, Ohio area, on January 12, 2006. 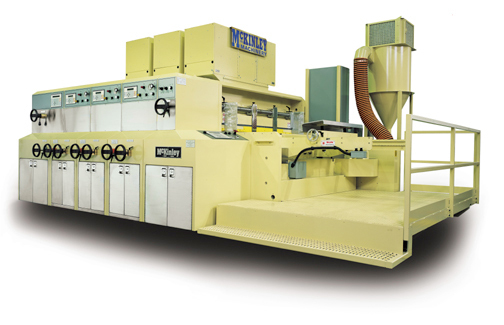 Based at the McKinley Machinery, Inc. facilities in Avon, Ohio, acquired by Berg Group in 2005, the move consolidated new machinery sales, parts, service, and technical support operations for both the EMBA and the McKinley lines of corrugated board converting equipment. 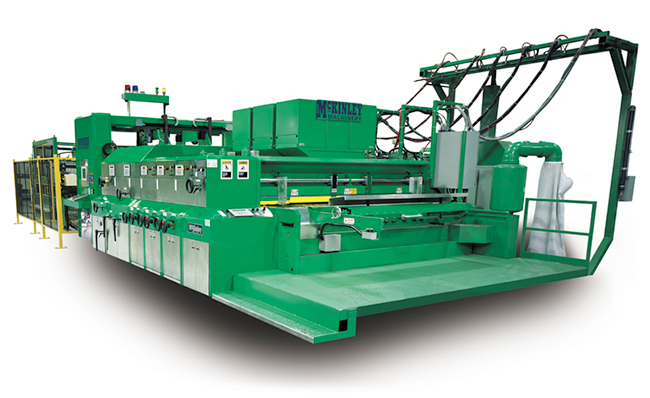 In addition, EMBA resumed the production of the McKinley line of Rotary Die Cutters, Flexo Folder Gluers, Jumbo Inline Machines, and High Board Line architecture machines. The move allowed for better use of McKinley’s established local resources for manufacturing, and created a more streamlined and effective organization in support of the existing EMBA and McKinley customer base. EMBA, now located in Westlake, Ohio (USA) is a leading manufacturer of state of the art rotary diecutters, flexo folder gluers, high graphics printers, and jumbo printer slotters for the corrugated industry. The McKinley Premier Rotary Diecutters feature Sun lead edge feeders, vacuum transfer, reverse angle or chamber doctor blade ink metering, independent servo drives of all units, anvil grinding, quick lock die mounting, touch screen operator control systems and much more. The McKinley Flexo Folder Gluers feature motorized dual slotting shafts, optional precreaser, extended vacuum folding section, positive gap control, top loading counter ejector and much more. The McKinley High Graphics Printers are high board line quick set up machines with independent drives, vacuum transfer and advanced ink metering and exceptional register control for super high quality printing on corrugated board. EMBA 66" x 190" Jumbo Flexo Folder Gluer. WARNING! Major Downtime Ahead. Unfortunately obsolesence of electronic components is nowadays a stark reality. If your McKinley is equipped with the Modicon Nano block remote I/O system (shown below), then these components are no longer available from the manufacturer. Spare part replacements are virtually non-existant. Take control of your controls with a new Modicon TSX Micro PLC. 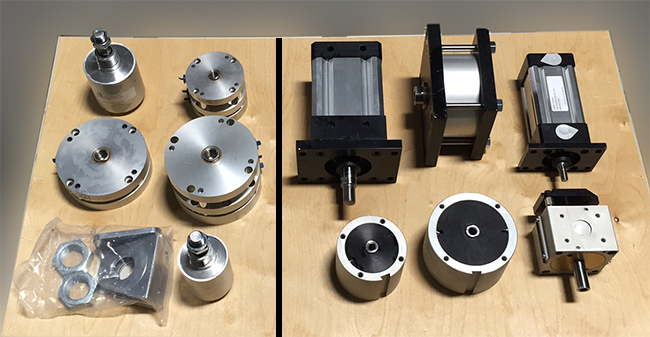 Upgrade your Modicon Nano Block system with the Modicon Micro system from EMBA- McKinley and you will overcome the problem of unobtainable spare parts for the old Nano system. After upgrading you will have access to both spare parts and professional support for secured future functionality. Product quality starts right at the feeder. The accuracy of the feed table significantly influences all following process steps of your machine: print register, die cutting, slotting, scoring and fish tailing are determined here as well as production speed and downtimes. A strong vacuum gives focused and flexible support to the feeding process: It can be adjusted in both, power as well as distribution to perfectly match the individual requirements of each job on your machine. The EMBA SERVOFEED is designed to be fully modular and can be easily adjusted to match working width and room requirements of machines of all types and makes. The integration into the machine is simple: Since the electronic integration requires no mechanical link to the machine's main drive the EMBA S ERVOFEED can be installed in record time. Using the computer control with comfortable graphic displays, all parameters can be easily entered in the operator's menu and centrally controlled: register position, motorised table movements, front gates and vacuum settings. 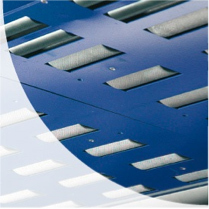 Free specification of sterreo thickness, mounting system, etc. We offer a large range of upgrades for your EMBA FFG. Please contact sales for detailed information. Faster access to menu options. Operator friendly design and navigation. Direct mount and replacement for obsolete screens. 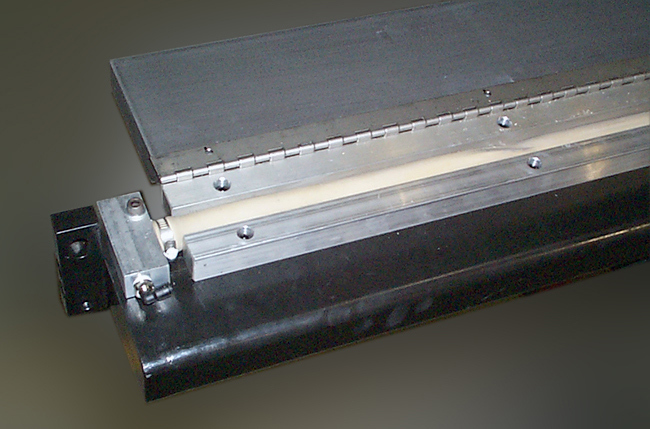 EMBA supplies the complete McKinley Machinery line of OEM drop in replacement blade units. Other options include replacement of wear parts for the blade units such as (blade holder, clamp, hinges, bladder blocks etc.) allowing you to rebuild them yourself. 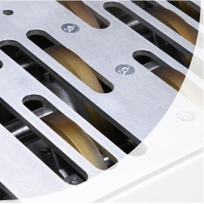 Our blade holders and clamps are precision machined aluminum and hard coated for durability. We also fabricate blade holders and clamps out of stainless steel providing a much longer life span. 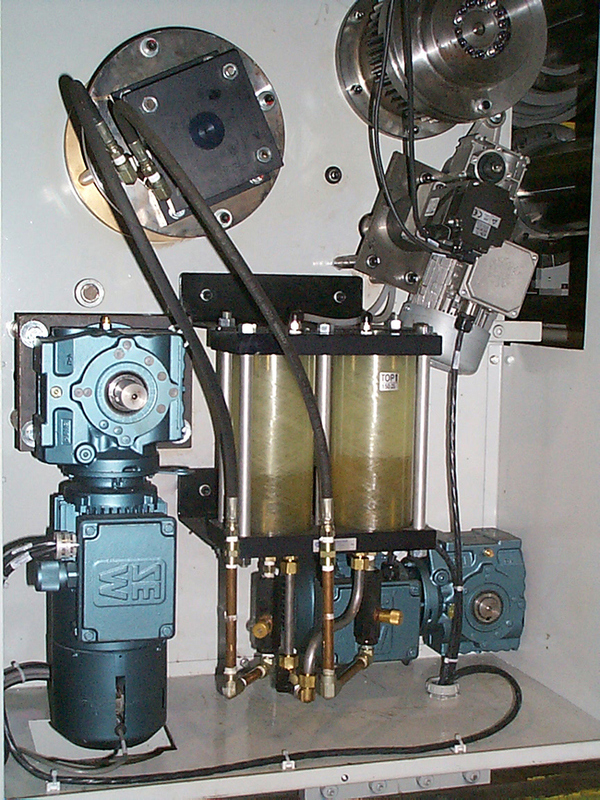 We supply replacement ARO pumps converted and ready to install, ink flow sensors, slid out ink pan to replace bolt in factory ink pans and we stock all OEM replacement anilox lift cylinders. We stock all the replacement ink pumps, filters and ink flow censors for the McKinley line. 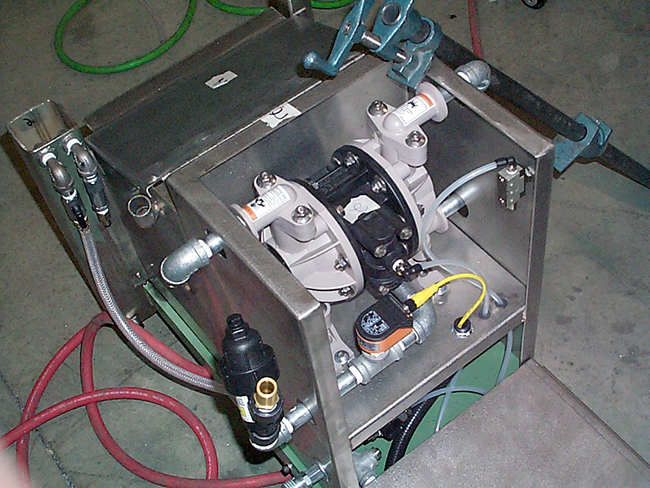 Tired of replacing the original leaky hydraulic units and cylinders? Take a look at EMBA’s Air over Oil upgrade to completely eliminate the old hydraulic tanks for the McKinley line, resulting in more affordable replacement parts. We stock anilox lift cylinders and hydraulic oscillation cylinders for all the McKinley Machines.